When I think of food from the Lower East Side, I think of diners and street cart hot dogs. One thing that definitely does not my mind is egg custard pies or pickled tomatoes. However, that’s exactly what some immigrants were bringing in from their homelands when they immigrated here to New York City in the 19th and 20th centuries. Visiting the Tenement Museum, we learned a couple of things as well. Such as the fact that pickles were so popular among Jewish immigrants in the 1890’s that they started complaining to their doctors about stomach pains. Also, there are at least six different dialects of Chinese spoken in the Lower East Side and Chinatown. Another thing I never even thought of to wonder was how newly immigrated families on the Lower East Side lived. These tenement buildings had no operational plumbing until 1905, which meant that people who lived there had to go to their back yards and do their funky business in a hole of sorts. Something I find found very interesting is the sense of community within the businesses of the Lower East Side. A lot of the residents of the Lower East Side began opening businesses to cater to the specific foods people from their countries were used to eating. When they realized that people from other countries with different food customs started coming around, they expanded their menus to try and make them feel more welcome to try the food at theirs stores and restaurants. Such as a European store that sold sole exclusively cheeses - they realized Chinese diets rarely called for cheese they added meat to their menu. Everyone was so ready to embrace each other’s culture. 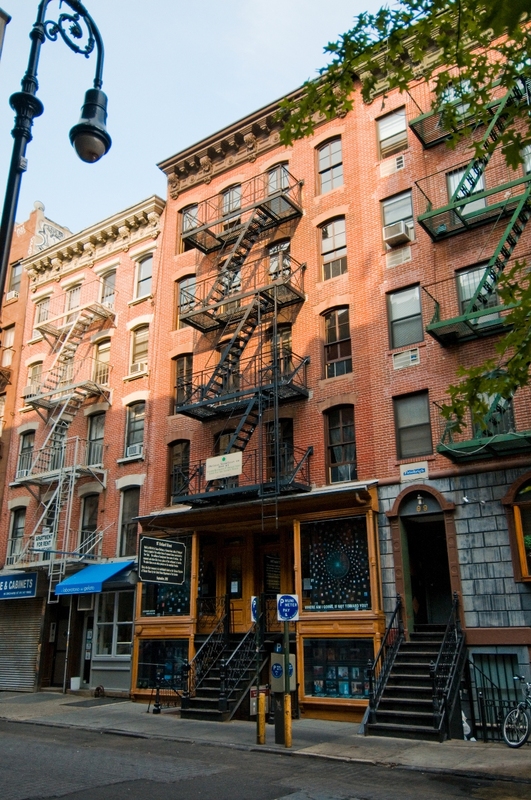 We could all stand to learn something from the Tenement experience in NYC in the 19th and 20th centuries.